Adoption fee: Contact True Blue Animal Rescue for and adoption fee. 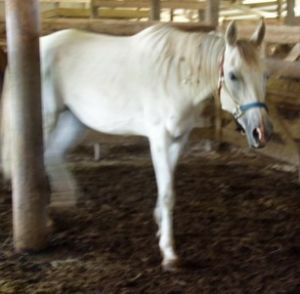 email help@t-bar.org or call 936-878-2349 for more information www.t-bar.org Treasure is a very sweet mare that was starving in her previous home. Now she has had her teeth floated, is dewormed and has been on good diet of hay and grain so she's gained her weight back and is ready for adoption. She is easy to handle, halter, trailer and stands for the farrier. She's in her late teens so she does need senior feed every day to maintain her weight. Adoption fee: Contact True Blue Animal Rescue for and adoption fee. 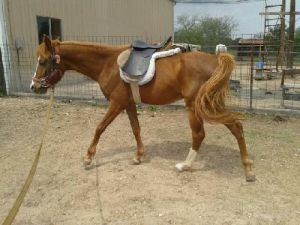 email help@t-bar.org or call 936-878-2349 for more information www.t-bar.org Clark is ridable and well behaved. All he needs is someone to spend some time with him and ride him. He's 20 years old so he's at an age where he's calmer and easy to handle. He would do best in a pasture with other geldings. Adoption fee: Contact True Blue Animal Rescue for and adoption fee. 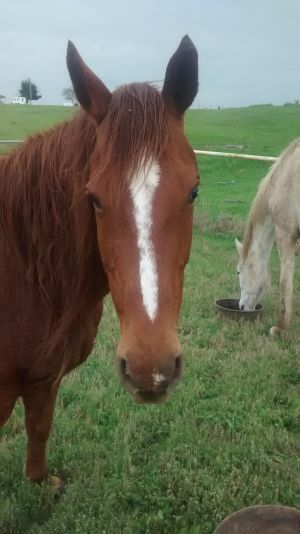 email help@t-bar.org or call 936-878-2349 for more information www.t-bar.org This great little horse is healthy and ready to train. He came to us as a stray and needed vet care, attention and to gain weight. Now he's ready to go to someone for training. He'd be great as a trail horse or for play days. Consider fostering! No adoption fee required and if it works out you can make arrangements to adopt. Adoption fee: Contact True Blue Animal Rescue for and adoption fee. email help@t-bar.org or call 936-878-2349 for more information www.t-bar.org Midnight is a well behaved horse that stands for a farrier, enjoys being brushed, stands for a bath and loads easily on a trailer. He's a great horse and likely ridable but hasn't been evaluated to ride yet. If you would like to adopt Midnight please contact us and we'll arrange for you to meet him. Adoption fee: Contact True Blue Animal Rescue for and adoption fee. Adoption fee covers current teeth float, shots and coggin. 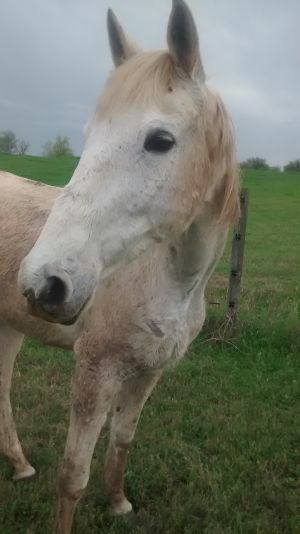 email help@t-bar.org or call 936-878-2349 for more information www.t-bar.org Rivar is a gentle senior horse. He would make a great companion or possibly could be used for light riding with some refresher training. Rivar and Cowboy are a bonded pair so if you adopt Rivar, please consider Cowboy too. There will be only one adoption fee for both horses. Adoption fee: Contact True Blue Animal Rescue for and adoption fee. Adoption fee will cover the cost of teeth float, current vaccinations and coggins. 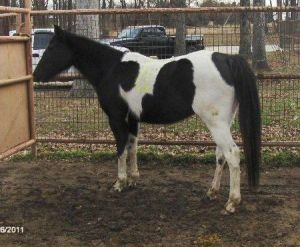 email help@t-bar.org or call 936-878-2349 for more information www.t-bar.org Cowboy is ridable but has not been ridden in his current foster home so he'll need some retraining before being ridden again. He has a blind spot in one eye from an old injury but he manages fine and it doesn't seem to bother him. Cowboy and Rivar are a bonded pair so if you adopt Cowboy, please consider Rivar too. There will be only one adoption fee for both horses. Adoption fee: Contact True Blue Animal Rescue for and adoption fee. email help@t-bar.org or call 936-878-2349 for more information www.t-bar.org Moxie is halter trained, loads well, stands for a farrier and enjoys grooming. We haven't tried her under saddle so we don't know if she's ridable or not. She's healthy, full weight, about 14.2 hands and ready for adoption. Adoption fee: $400. Pretty Boy is current on shots and coggins and has had his teeth floated. He is 16 years old. email help@t-bar.org or call 936-878-2349 for more information www.t-bar.org Pretty Boy was taken in by True Blue Animal Rescue because his owner was not able to take care of him anymore. He has gained a lot of weight and is currently healthy and ready for adoption. He stands for a farrier, loves to be brushed and pet, leads easily and accepts a saddle. According to his previous owner he is ridable so all he needs is someone to spend time with him and get him back to the great riding horse he was before he lost so much weight. If you'd like to adopt please submit an application and we'll arrange for you to meet this pretty boy and see if he's the right horse for you. Adoption fee: $400. Charley is current on shots and coggins and has had his teeth floated. He is 10 years old. email help@t-bar.org or call 936-878-2349 for more information www.t-bar.org Charley was taken in by True Blue Animal Rescue because his owner was not able to take care of him anymore. He has gained a lot of weight and is currently healthy and ready for adoption. He stands for a farrier, loves to be brushed and pet, leads easily and accepts a saddle. 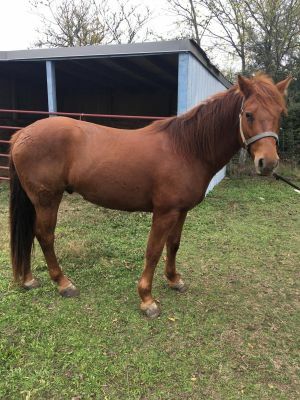 According to his previous owner he is ridable so all he needs is someone to spend time with him and get him back to the great riding horse he was before he lost so much weight. If you'd like to adopt please submit an application and we'll arrange for you to meet this pretty boy and see if he's the right horse for you. Adoption fee: Contact True Blue Animal Rescue at help@t-bar.org for adoption fee This mare was starving when law enforcement removed her from her owner and turned her over to True Blue Animal Rescue. She's estimated to be about 18 years old. Thanks to a wonderful foster home you can see how far she's come. 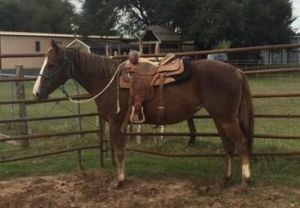 She is quiet under saddle and gives to pressure under direct reining. With a little more work and time she'll be perfect for anything you might want to use her for. 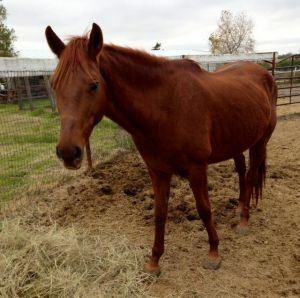 Sonador is an 8 year old mare who was starved and left tied to a tree. She has now gained weight and is ready for adoption. She's easy to halter, lead, brush and pet. 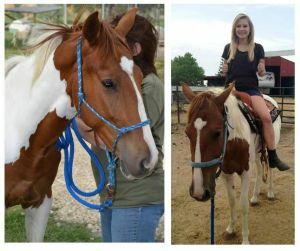 She accepts a saddle and rider and is doing well in her foster home. She is current on shots and coggins. If you'd like to meet Sonador fill out an application from our web site and email it back to us at help@t-bar.org. 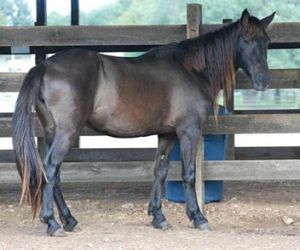 When we have it we'll arrange for you to meet this sweet mare. Adoption fees help cover vet bills so we can continue to rescue more animals in need. Adoption Fee: email help@t-bar.org for updated adoption fee! Adoption fee includes up to date vaccinations, deworming and a one year TBAR membership. Jessi was found with her daughter, Starlet, homeless and wandering the streets of Washington County. Both horses were very skinny and very scared. They were held for an estray period before they could be awarded to True Blue Animal Rescue for medical attention. Jessi is now healthy and ready for adoption. Once released to TBAR, Jessi and Starlet were boarded at the vet while they received vaccinations and had coggins pulled. Now, they are both in foster homes ready for someone to give them a chance at a forever home. Neither horse seems to have ever received training and will need someone experienced to work with them if they are intended to be ridden. Otherwise, Jessi would do well as a companion for another horse. Jessi does halter and lead. 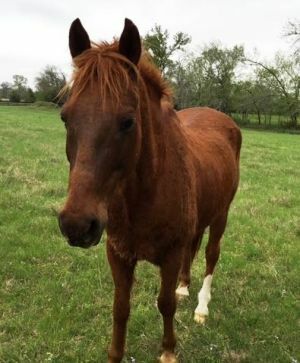 For more information on Jessi or another adoptable equine, please contact TBAR by email help@t-bar.org or calling (936)878-2349. Please leave a voicemail and our volunteer will return your call at their earliest convenience. Adoption Fee: ask about our adoption fees Adoption fee includes castration, up to date vaccinations, negative coggins, deworming and a one year TBAR membership. 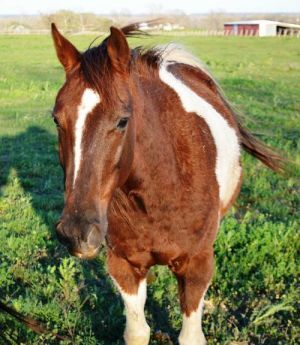 Firecracker is a sweet, adult gelding that will come up and look for attention whenever he sees people. 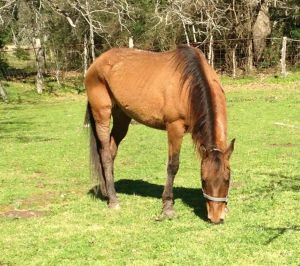 He is halter broke and is being worked on the ground â he accepts a saddle and can be trained to ride. 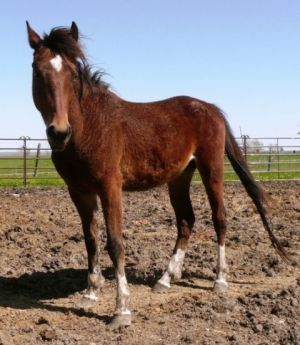 Heâs a small gelding, around 14hh, so he will make a great kid's horse after training. He and his three pasture mates were left to starve in a field when law enforcement stepped in and took them away. They were turned over to T-Bar so they could be fed and taught to love people. Since that has been done, Firecracker is now looking for his forever home. Someone who can take the time to teach him everything else he needs to know to become the beautiful riding horse he was meant to be. For more information on Firecracker or any other T-Bar animal, please email help@t-bar.org or call (936) 878-2349. 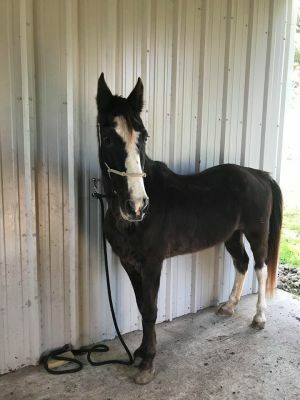 Name: Admiral Rescue ID: TbarH252 Breed: Paint/Pinto / Quarterhorse / Mixed Gender: Male Color: Paint Adoption Fee: ask about our adoption fees Adoption fee includes castration, up to date vaccinations, negative coggins, deworming and a one year TBAR membership. Adoption Fee: ask about our adoption fees Adoption fee includes castration, up to date vaccinations, negative coggins, deworming and a one year TBAR membership. Are you interested in having a four legged beautiful companion and best friend in your pasture or barn? This boy is quite attractive. Well, look no further. This is Dancer a gorgeous 15 year old bay Arabian gelding. He is up to date with shots, has a negative coggins and is ready to go to someone's home. He's not really rideable at this time but, he accepts a saddle and a rider and he is ready to finish his training. He has had lot of natural horsemanship groundwork and desensitizing training with Juan Vendrell of TC Ventures. T-BAR is an all volunteer no-kill rescue. Save a life and adopt instead of buying a pet. Please, have your pet spayed or neutered. It is the right thing to do. If you are looking for or would like more information on Dancer, or another animal you see, please call 936-878-2349 or email, help@t-bar.org to make an appointment - and go to the website, www.t-bar.org to learn about the adoption or foster program guidelines and download an application. Fill it out and send it back (email or regular mail) and once you are on file as an approved adopter or foster home, you can meet any animal you want and take them home for a sleepover - try out. 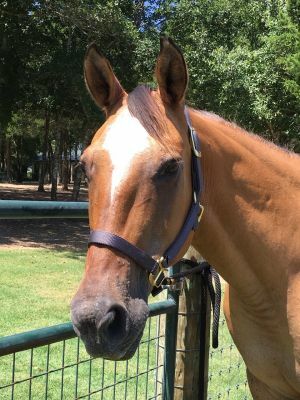 Name: Keebler Breed: Saddlebred / Arabian Gender: Male Color: Chestnut/Sorrel Adoption Fee: ask about our adoption fees Adoption fee includes castration, up to date vaccinations, negative coggins, deworming and a one year TBAR membership. Description: Keebler was rescued from a breeding farm. He and 10 other young stallions were kept stalled in a barn 24/7. Their feet were grown out so that they couldn't walk. 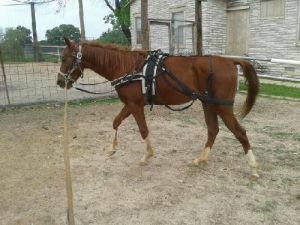 Keebler has had lots of ground work training and can now be driven and accepts a saddle. He can be trained to ride. Adoption Fee: Ask about our adoption fees Adoption fee includes castration, up to date vaccinations, negative coggins, deworming and a one year TBAR membership. Emir is a beautiful Arabian gelding. He was taken from his owner when they could no longer care for him. He has had lots of groundwork training. He will ground drive and accepts a saddle. He can be trained to ride. Adoption Fee: ask about our adoption fees Adoption fee includes castration, up to date vaccinations, negative coggins, deworming and a one year TBAR membership. Cricket has had lots of ground work training and now accepts a saddle. She can be trained to ride with some additional training. 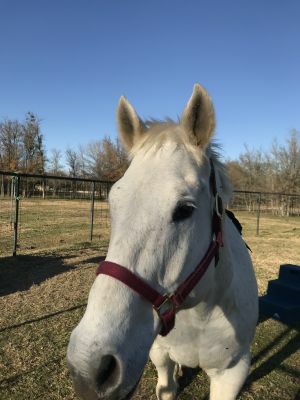 If you are interested in Cricket or any other horse, dog or cat, please go to www.t-bar.org and see all the animals that deserve a second chance and fulfilled life full of love. Adoption Fee: ask about our adoption fees Adoption fee includes castration, up to date vaccinations, negative coggins, deworming and a one year TBAR membership. 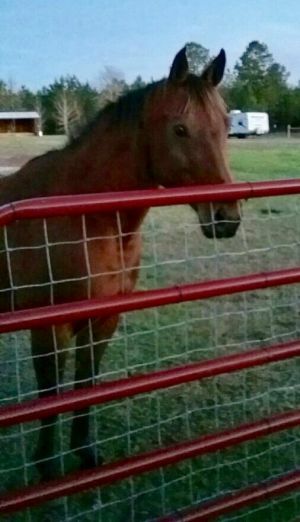 Mustang Sally was removed from her owner when they could no longer care for her. She is now healthy and ready for adoption. She has been ridden but is currently out to pasture with several other horses so she'll need some refresher training before riding again. Adoption Fee: ask about our adoption fees Adoption fee includes castration, up to date vaccinations, negative coggins, deworming and a one year TBAR membership. Reba just got back from a month with trainer Juan Vendrell of TC Ventures. She received lots of ground work and has been started under saddle. She's ready for someone to take her home and give her all the attention and training she deserves. © 2004-Present True Blue Animal Rescue (TBAR). All rights reserved. True Blue Animal Rescue is a 501c3 registered no-kill animal rescue, not a funded animal shelter. Any animals that come into TBAR are not euthanized. They remain with us until a forever home can be found. Please look us up on Guidestar or IRS Search for Charities.